Isabelle Le Normand is a curator and since 2008 she is responsible for the visual arts section in Mains d’Œuvres, a multidisciplinary place based in Saint-Ouen. She has organized exhibitions like Mieux vaut être un virus que tomber malade (Mains d’Œuvres, 2008; Budapest, FKSE 2011), Une vente aux enchères, (Mains d’Œuvres, 2011), Qui Admirez-vous ? (La Box, Bourges, 2011), La Famille Farrell (Maison Populaire, Montreuil ; Mains d’Œuvres, Saint-Ouen, 2010), Argument de la diagonale (Bétonsalon, 2008). She has organized exhibitions of latin american artists based in Europe like Ivan Argote, Estefania Penafiel Loaiza and Francisco Camacho. 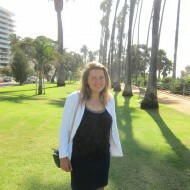 In 2011-2012, she co-directed the seminar Los Angeles-des marges aux centres in the Esaaa, Annecy. She is currently in residence at the Cité des Arts in Paris for the project I am here for you, designed to link foreign and Parisian artists. In 2013, she created an artist exgange program between Paris and Los Angeles in partnership with Machine Project (January 2013) and Mains d’Œuvres (May 2013). After graduating from international relations and cultural management studies, completed between France, the United States and Spain, she joins, for a year, Isabela Mora’s team in Madrid, working for ArtBasel’s public relations. Back to Paris in 2004, she contributes to the creation of a virtual gallery specialized in photography (www.wantedparis.com). In 2005, she joins the production team of the documentary series L’Art et la Manière (26 minute-long portraits of artists broadcasted on the Franco-German TV channel, Arte). With Jean-Paul Boucheny, the producer of the series, she takes part in the artistic direction and the production of more than 60 documentary films, over three years. Since 2008 she begins to focus her efforts on Contemporary Art in Latin American, and creates a website launched in partnership with the Centre Pompidou in the fall of 2011 at arte-sur.org. In conjunction with the development of this project, she is the curator of exhibitions such as “Extracto, contemporary drawings of South American artists” at Catherine Putman Gallery, and “The Charcot Effect”, an installation by the Chilean artist Voluspa Jarpa, at the Maison de l’Amérique latine in Paris. There, she presents the work of 16 artists in the collective show “Voyage Voyage”, a disorienting Contemporary Art, in February 2012. In 2013, she is part of the jury of the Prix Braque in Buenos Aires and the referent in France for “La Fabrique des images”, a residency program developed between Mexico and France by the IFAL, French Institute of Latin America in Mexico. Moreover, she is the curator of three exhibitions: “One Million Friends” a monographic show of Iván Argote at the ADN Gallery of Barcelona, “Artesur, Collective Fictions”, a collective exhibition emanating from arte-sur.org, carried out with four international curators and presenting the work of 18 latin american artists at the Palais de Tokyo (Paris), and “La Distance Juste” a collective exhibition at Galerie Georges-Philippe et Nathalie Vallois (Paris). 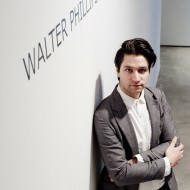 Jesse McKee is the Curator of Walter Phillips Gallery at The Banff Centre. Since joining the gallery in late 2011, he has produced exhibitions with Mark Leckey, Brian Jungen, Duane Linklater, Tamara Henderson and Julia Feyrer, and performances and events with Karl Holmqvist and Mai Abu ElDahab, among many others. Previously he was the exhibitions curator at Western Front, Vancouver where he produced exhibitions and commissions with Eli Bornowsky, Sophie Bélair Clément, Lars Laumann, Goldin+Senneby, Neïl Beloufa, and Lee Kit. In 2011 he curated Well Formed Data, Gallery 101, Ottawa, which included work by Susan Hiller, Patricia Esquivias, Falke Pisano, Guillaume Désanges and Ursula Biemann. He was a participant and presenter in the events programme Fiction, Rhetoric and Facts, Tranzit.ro, Iaşi, 2012. Andrew Berardini is a writer living in Los Angeles, who has worked for the Armory Center for the Arts and LAXART as a curator and at Semiotext(e) Press as an editor. He currently holds positions as Los Angeles Editor for the European bimonthly magazine Mousse and Deputy Editor for the online publication Artslant. Berardini has published articles and essays in Frieze, Mousse, Fillip, Artforum, X-TRA, Artnet, Paper Monument, Art Review, Rolling Stone, Public Fiction, Modern Painters, and regular contributes to the LA Weekly. Past curatorial endeavors include a public project with Bruce Nauman, a collaboration between Raymond Pettibon and Yoshua Okon, and trasnforming the Church of the Holy Shroud in Turin into a metaphysical disco (with Lauren Mackler), as well as numerous group shows in San Francisco, LA, Vienna, and Milan. Recent book projects include a collaboration with Brian Kennon published by 2nd Cannons titled Get In, a monograph on the work of Richard Jackson published by the Rennie Collection, and a contribution to the 2012 Whitney Biennial. His research focuses on issues of the permeability between imagination and reality. 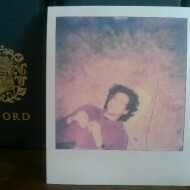 He is currently on faculty at the Mountain School of Arts. Anca Rujoiu is an independent curator based in London. She is a curator at FormContent, a curatorial project in London currently working on a nomadic programme It’s moving from I to It. With FormContent she has recently curated: It’s moving from I to It at the Contemporary Art Gallery, Brukenthal National Museum, Romania, Not surprisingly, he is wearing gloves at Eastside Projects Birmingham including the work of Douglas Gordon, Martin Gustavsson, Marine Hugonnier, Fitts & Holderness, Goldin & Senneby, and Sincerely how I am talking? at Hollybush Gardens, London. Since October 2012 she is a coordinator of special projects at the Royal College of Art, School of Fine Art. She graduated from the MFA Curating programme at Goldsmiths College and was one of the curators selected for the 3rd International Curator Course, Gwangju Bienniale, South Korea, 2011.